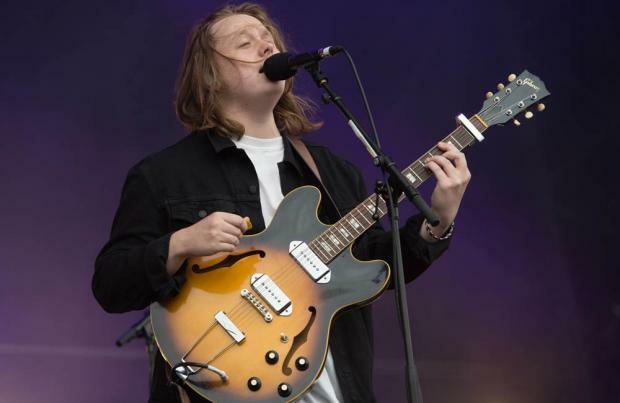 Rising star Lewis Capaldi has teased that he may have been working with Niall Horan in the studio after admitting he has the "best smelling hair ever"
Lewis Capaldi has hinted he's working with Niall Horan as he admits he has the "best smelling hair ever". The latter is currently in "writing mode" in the studio working on songs for his follow-up to his debut solo LP 'Flicker', and the pair have been complimenting one another on Twitter of late, suggesting they've been spending some time together. Lewis tweeted on Sunday (16.12.18): "Niall Horan has the best smelling hair I've ever come across in my life." Whilst the One Direction star recently tipped Lewis to win the 2019 BRITs Critics' Choice Award, which went to Sam Fender. He joked: "If @LewisCapaldi doesn't win the Brits critics choice award , I give up ! But at the same time if he gets anymore famous he won't talk to us anymore." The 'Grace' hitmaker supported the Irish hunk in Glasgow, Scotland, in the summer, and previously gushed about how down to the earth the 25-year-old star is. He said: "Just the fact, he's so nice, do you know what I mean?. "The way someone who's that successful and had done massive things on his own and with One Direction, to still be as humble as he is and as sound as he is is a big thing for me. "You might get big and become an a**hole and there is no reason for it. He's one of the biggest pop singers in the world and you can just sit with him in the pub. The way he treats people around him, no matter who they are, it's all the same soundness. That's all I took away from it." Updating fans on his Twitter silence, Niall recently tweeted: "sorry I've been a bit useless on Twitter and stuff . I'm very much in writing mode and that's all that occupies my mind at the moment . I (sic)"